Binance just offered its users an in-depth sneak peek of its forthcoming decentralized exchange (DEX). Announced in March of 2018, the decentralized exchange will be built on Binance’s own Binance chain, the soon-to-be base layer for BNB, Binance’s trading currency that is currently an ERC-20 token. A December 4, 2018, YouTube video posted by Binance’s official channel showcases the work the Binance DEX has undertaken on the project since its last update. The developer opens the presentation by demonstrating the DEX’s wallet function. 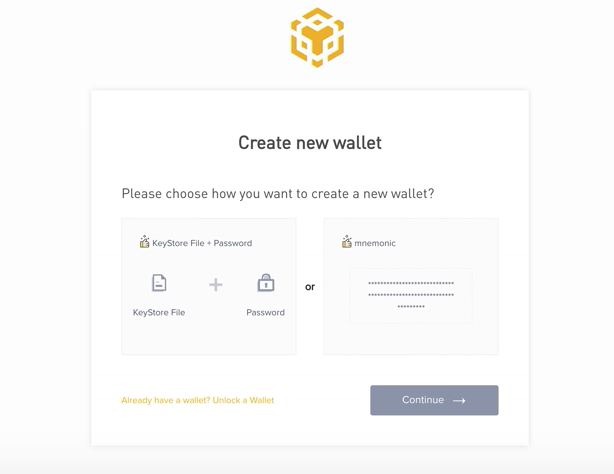 So far, it houses two options, allowing users to create a new wallet with a store file and password or by generating a mnemonic (a.k.a seed) phrase. In addition to these two, more options are in the works, the representative promises, though it’s unclear what form they will take (such as a hardware wallet or MetaMask integration, which are popular options for other decentralized exchanges). Keeping with a DEX’s promise to give coin holders control over their funds, users will be able to export their private keys from the exchange. 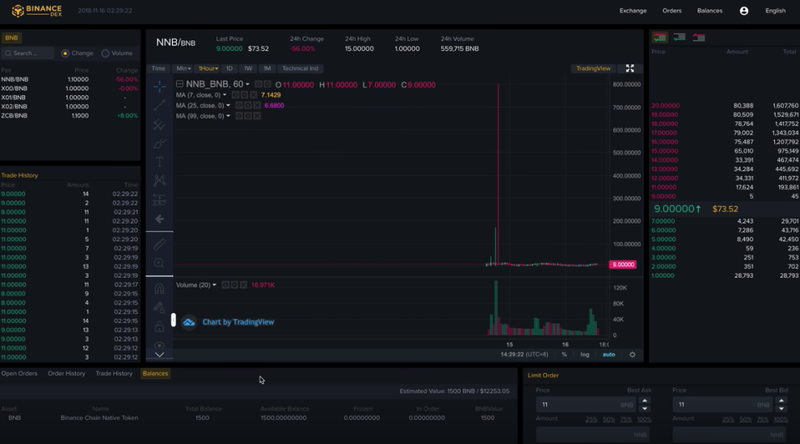 The video then dives into the exchange’s actual trading interface, which is a near wholesale replica of Binance’s current layout, though with a few exceptions that include an account balance bar on the bottom left and a wallet address dropdown in the user icon in the top right. In its final minutes, the video details the exchange’s contingent block explorer. 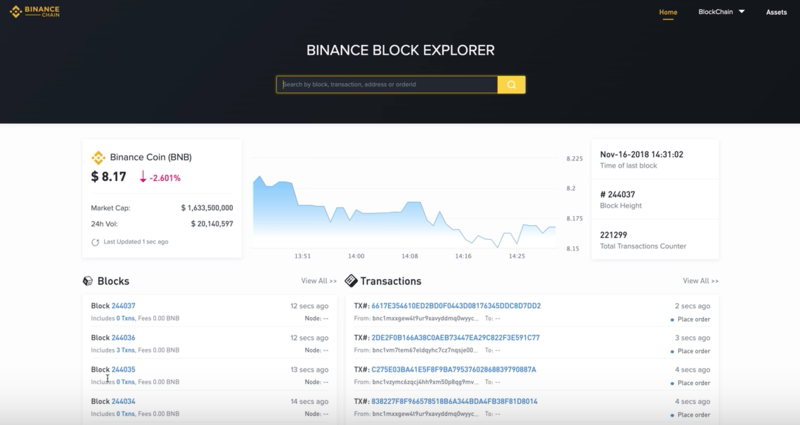 The explorer will give users all the expected functionality a block explorer brings for the Binance blockchain, including data querying for specific blocks, addresses, transactions and orders that have been executed on the exchange. Still, with everything the video did show, Binance didn’t put all of its cards on the table. The primer didn’t explain whether or not the DEX would employ know-your-customer (KYC) account verification, something that Binance’s current exchange requires. Even more importantly, it didn’t explain how it plans to settle cross-chain transactions for BNB and the coins it will trade against. By their nature, real decentralized exchanges are built on a blockchain, so all trades are real-time transactions on these networks and are settled on chain. 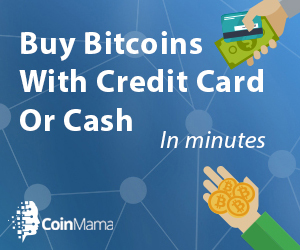 Since trades are settled on chain, you can only trade coins or tokens that operate on the same network. Popular Ethereum DEXs EtherDelta and IDEX, for example, are used to trade Ethereum and ERC-20 tokens to this end. That said, it’s unclear how Binance plans to accommodate trading for other coins from disparate networks with BNB, the Binance blockchain’s base currency. Theoretically, this could be accomplished using cross-chain atomic swaps, or Binance could build a sidechain for the Binance network that allows users to trade tokens that are pegged to (i.e., represent) coins from another blockchain on the Binance network. Binance could settle orders for their users and credit their accounts with the funds once the trades have executed, though this would make the exchange more centralized than decentralized. The video ends with the Binance DEX representative promising that the team will “get back to [the community] shortly with more exciting features,” so we may have answers to these questions sometime soon. Bitcoin Magazine reached out to Binance to clarify how the DEX will settle cross-chain trades, but at press time, we have not heard back from the company.